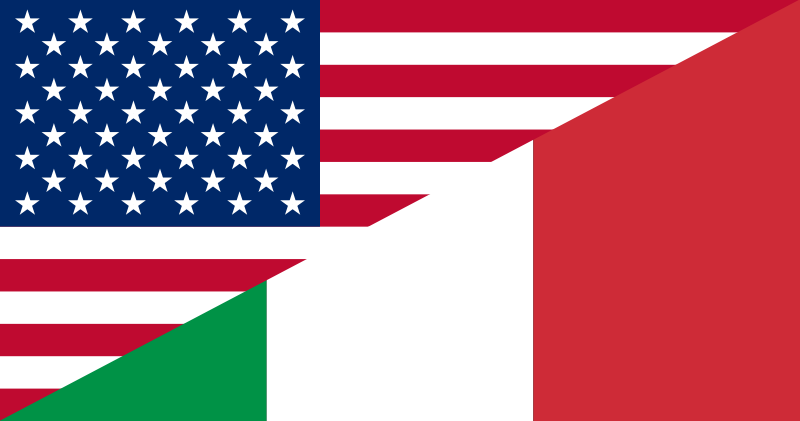 Many young Americans connected to Italy, either because they were born from Italian immigrants or because they had relatives who moved to the US during the big immigration waves of the 1900s participated in the June 12th event. 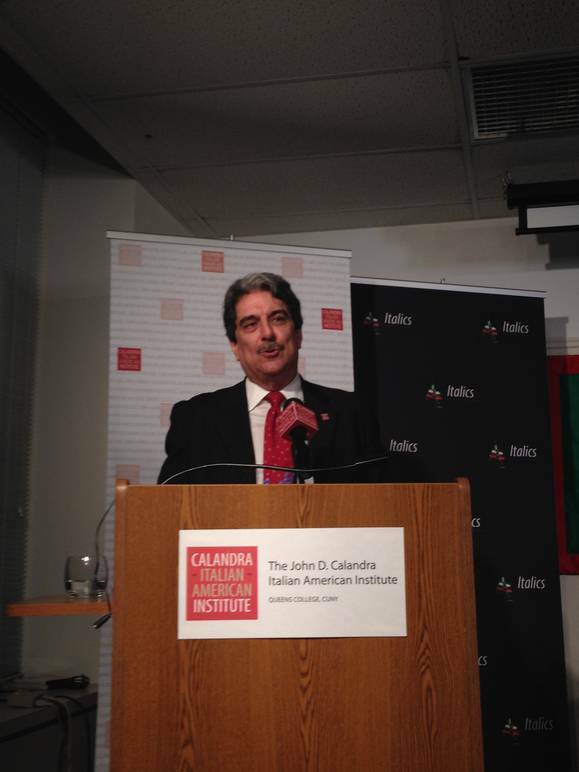 The discussion was moderated by Anthony J. Tamburri, Dean of the Calandra Italian American Institute. Three young panelists presented their experience as Italian Americans, their relationship with Italy and the challenges they face in today's fast-pace professional worlds during the panel discussion. Nicholas Adamo is a 2nd generation young Italian American and is currently the President of Bullion Shark, LLC, a market maker in physical precious metals. Steven Perrotta, also 2nd generation Italian American, is the Managing Partner of Perrotta Tax & Consulting Services, LLC and also a Real Estate Agent. Salvatore Ambrosino, is a 4th generation Italian American, born in New York and has travelled frequently to Rome with his family throughout his life. He currently works as the Media and Communications Coordinator at the Italy America Chamber of Commerce (IACC), where he is also the IACC Liaison to the Young Executives Committee of the IACC. For the three of them, Italy has been an important part of their lives in terms of cultural influence. “I feel equally Italian and American. I appreciate Italy with the eyes of an American and the heart of an Italian,” said Salvatore, who, even if he is an Italian-American of the 4th generation, is really attached to Italy and throughout his life and career has always tried to get closer to Italian culture. Moreover, as Italian Americans, they all shared what would they choose as best of both countries. “Italian culture is the best in terms of fashion, cuisine and lifestyle in general. However, American work ethics are better,” said Nicholas. “American mentality is always about business,” affirmed Steven, who wanted to compare the way business is done both in Italy and America, since he has the opportunity and the experience of working together with Italian companies as well as American companies. “Working with Italian and European clients is different. You actually build almost a friendly relationship, because you get to know them on a personal level as well. That is the Italian and in general the European culture and I really appreciate that in a working environment,” he concluded. “In America there is a more of a go-getter attitude. We are born and raised in a country where everything is possible. But in Italy you seek the beautiful things and learn to put the problems aside. As Americans we should learn to acquire and appreciate the beautiful things. The same goes for the Italians who move here. If they acquired the so-called go-getter attitude I am sure we could make beautiful things happen,” affirmed Salvatore. 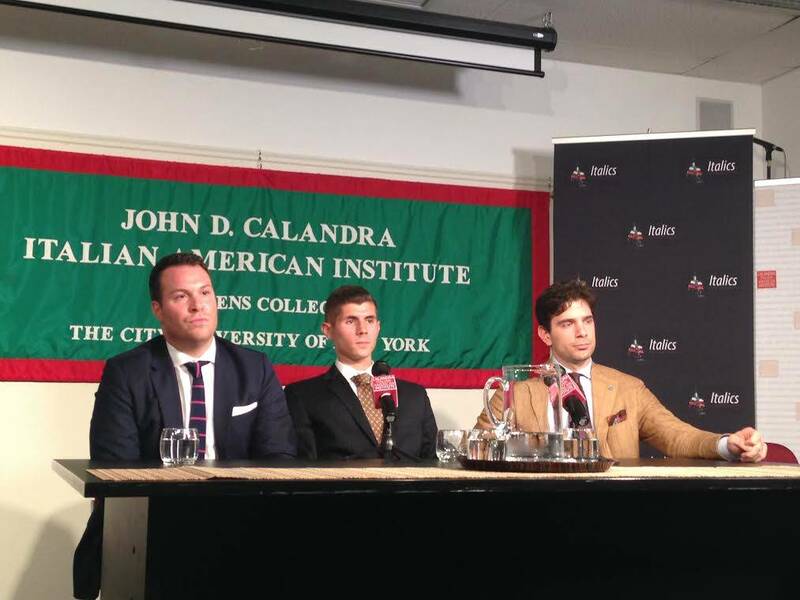 Furthermore, they also discussed the influence of the media in representing the Italian American culture within the US. Presenting the example of the popular TV show “Jersey Shore,” they all agreed upon the distorted perception that media gives in terms of the Italian American identity. After the insightful panel discussion, the event ended in the perfection of Italian style: with delicious food of course! Who Said Women Don't Understand Soccer?